So if you know me well, you know that it's not new news that I'm getting married, but now I am officially engaged! Dave purposed on March 9th. Have you ever seen the movie Elizabethtown? Well that's like our favorite movie. (If you haven't watched it, watch it.) In the movie Claire puts together a road-trip-book with steps and music and notes to go along the way for Drew. Well that's basically what Dave did. He put together this book and it had all these places for me to go, notes, and music for me to listen to. I went to places like his work, my work, Cafe Rio (our first date), Spoon Me, among others, and finally the Marriott Center, where we met, and he purposed! So cute! I picked the ring out a bit back. It's a beauty! The wedding is August 14th! 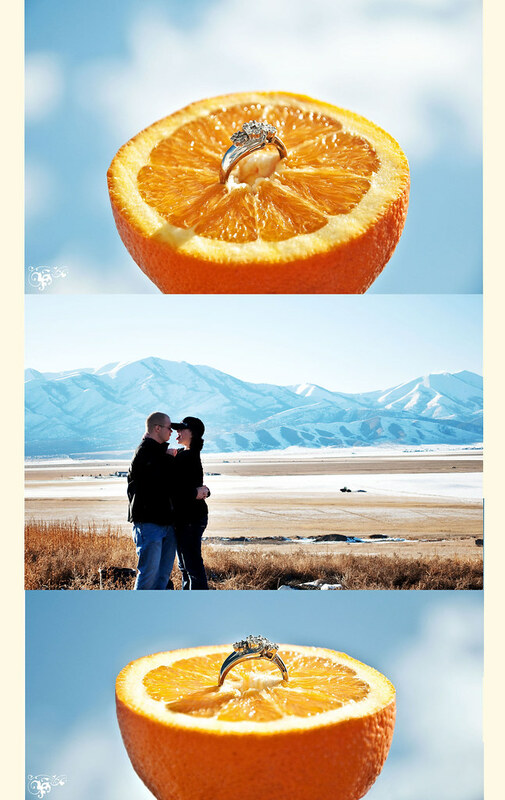 I have all these awesome ideas for our engagements! I'm so excited!